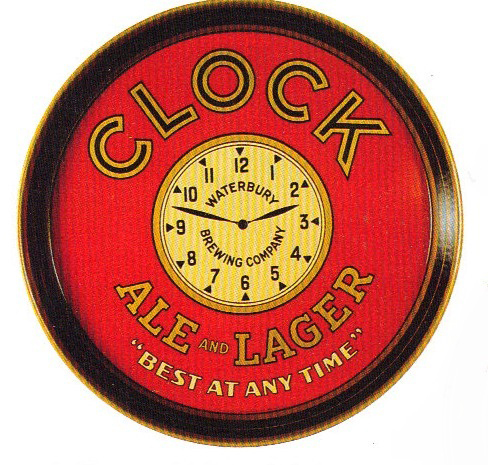 Serving Tray for Clock Ale & Lager from The Waterbury Brewing Company out of Waterbury, Conn. The center shows a clock with a time of 2:47. Text along the bottom states “Best At Any Time.” This clock is a great use of the round form-factor of the tray and it has a bold design with the bright red background and black lettering and rim.